Global Internet Phenomena Preview: File sharing.. Global Internet Phenomena Preview: PlayStation.. 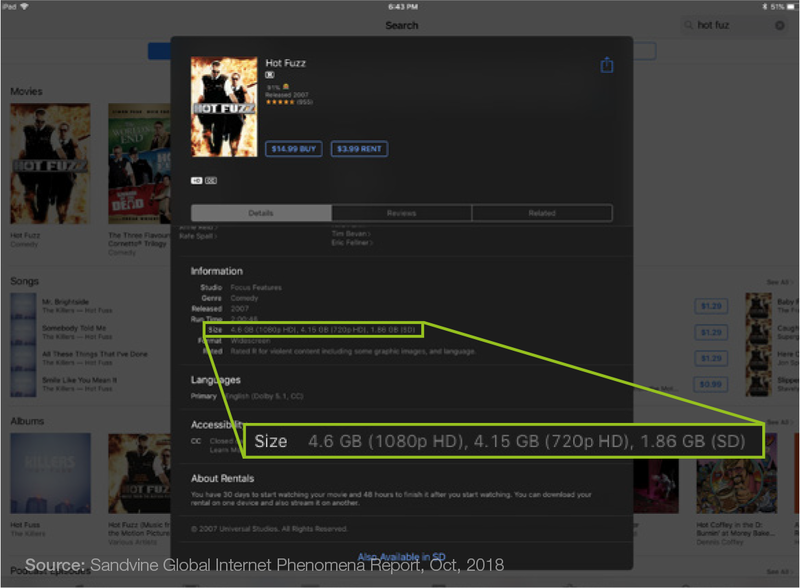 In the biggest teaser/reveal so far for the upcoming Global Internet Phenomena Report, Sandvine can reveal that Netflix is the #1 downstream application worldwide with almost 15% of global internet traffic. This is a very impressive number for a few reasons. First, the competition for attention and screen time is higher than ever before, and that competition is from both other video sources (Amazon Prime, Hulu, HBO Go, BBC iPlayer, and the list grows in each region) as well as gaming and social networking, both of which are using increasing amounts of bandwidth as they deliver immersive interactivity and video experiences. Second, network operators around the world, especially on mobile networks, are managing video traffic to the "Standard Definition (SD)" resolution more and more to prevent their networks from becoming congested. 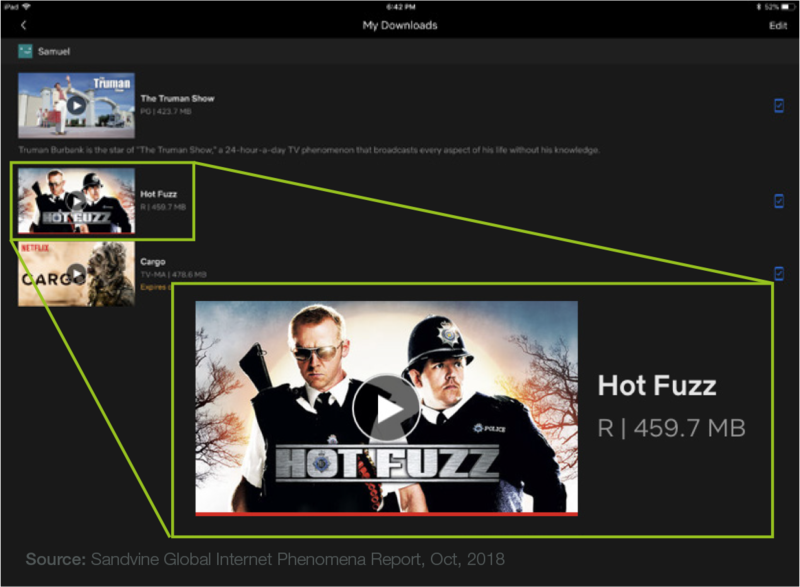 YouTube (which as historically dominated the mobile video landscape) is the hardest hit by this phenomena, but it also affects Netflix, who is being bundled as a package with many mobile plans by operators offering unlimited (but managed) video streaming. Finally, Netflix is the most efficient video streaming service in terms of bandwidth usage. The final report will go into more detail but here is an example. Below is a capture of Hot Fuzz downloaded to my iPad. Notice the file size of 459.7MB. The file size ranges from 4.86GB for 1080p, 4.15GB for 720p, and 1.86GB for SD. Even with that that level of differential, Netflix is still #1.